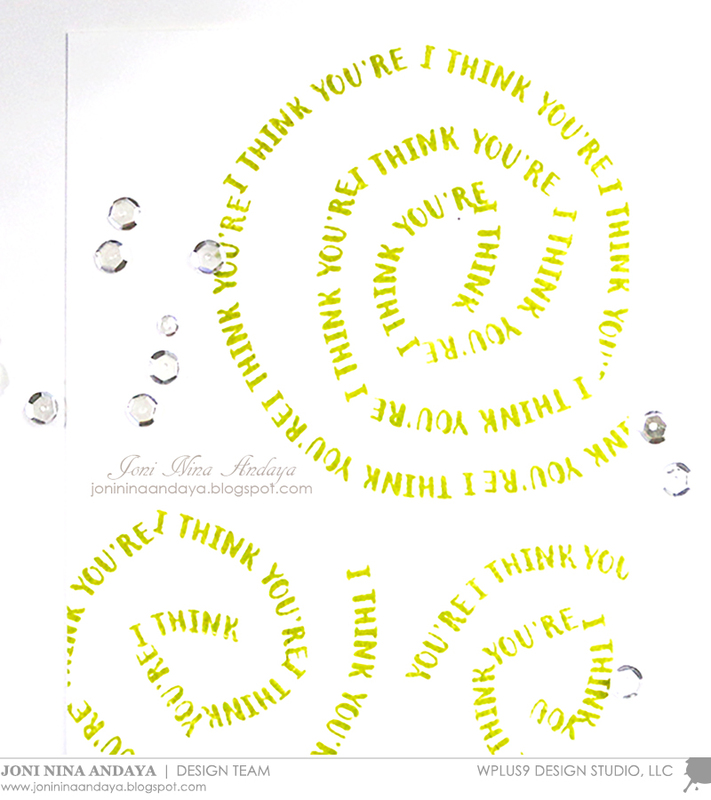 Hello Everyone, Joni is here sharing with you how to create your own simple swirly background sentiment. To begin, I simply drew a swirly lines using a pencil on a white card panel. I curved the sentiment on the acrylic block. Then I stamped on the lines with the sentiment "I Think You're" from the That is All stamp set in Last Leaf PURE COLOR Dye Ink. After stamping I erased all the pencil marks. 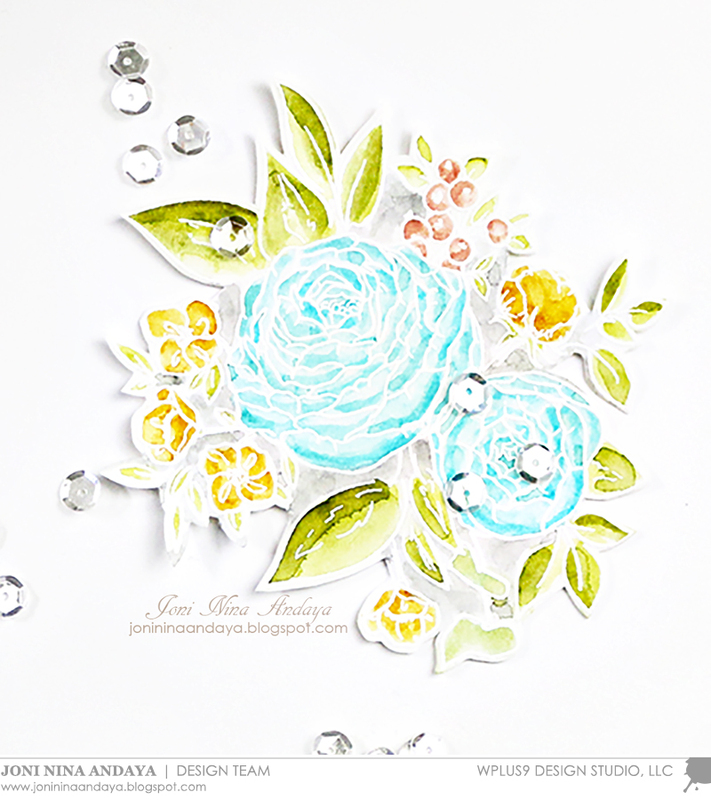 Next, stamped the Beautiful Bouquet: Ranunculus on watercolor paper using Versamark ink and heat embossed it in white. I used ZIG Clean Color Real Brush pens to watercolor the image. After letting the image dry I fussy cut the image and adhered it to the card panel with foam tape for dimension. 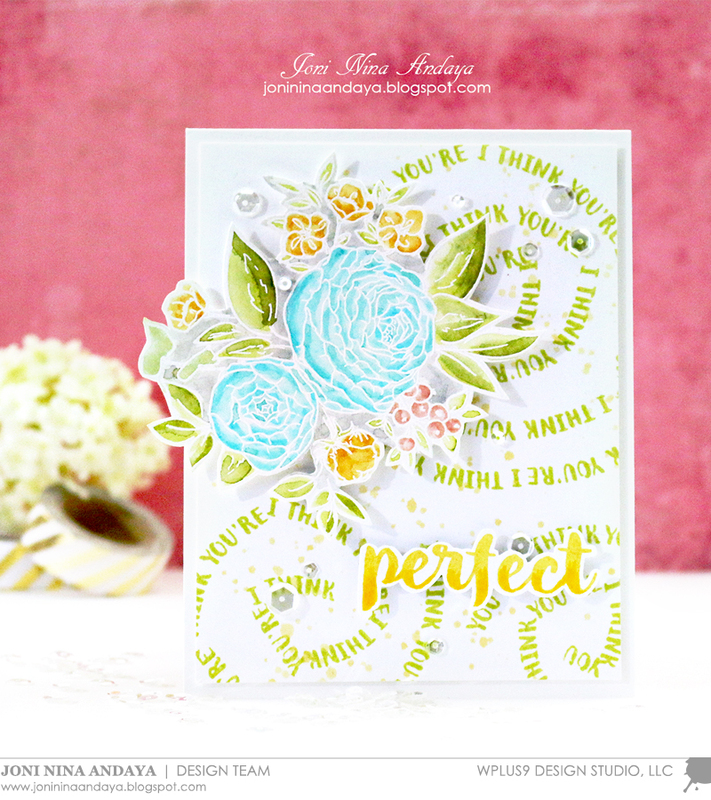 The "perfect" sentiment is also from the That is All stamp set. For this word I stamped it in Wild Mango PURE COLOR Dye Ink. Then fussy cut the sentiment and adhered it with foam tape. Next, I added some watercolor splatters on the background and added some Pretty Pink Posh Posh Sparkling Clear sequins to finish off the card. I know Easter has come and gone, but I still have bunnies and Spring on my mind. I can't wait for the warmer temps and flowers blooming that is right around the corner! I thought it would be fun to build a little scene around these cute bunnies. 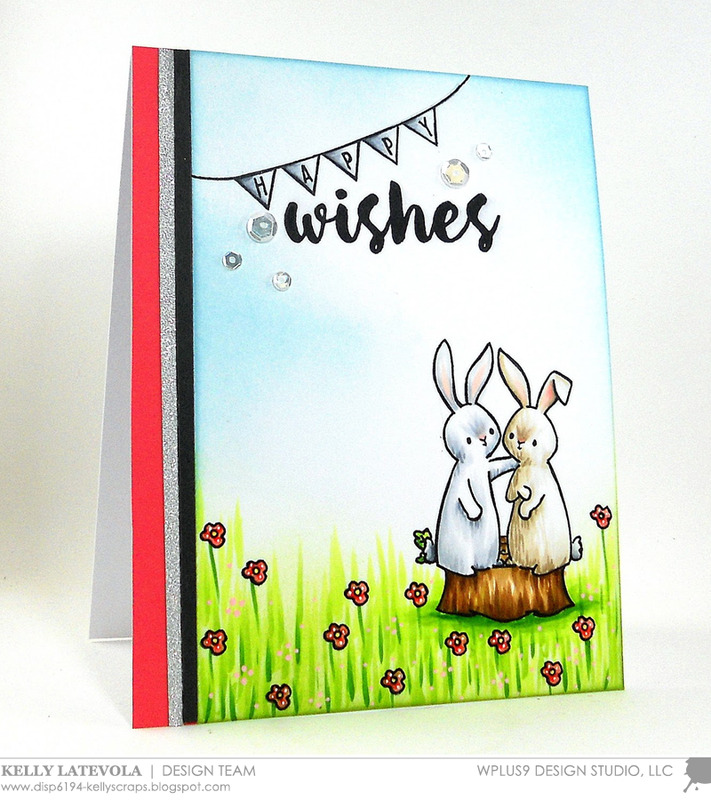 This simple sentiment makes this card usable for any holiday, or maybe just a quick pick me up to pop in the mail for a friend who needs a smile. 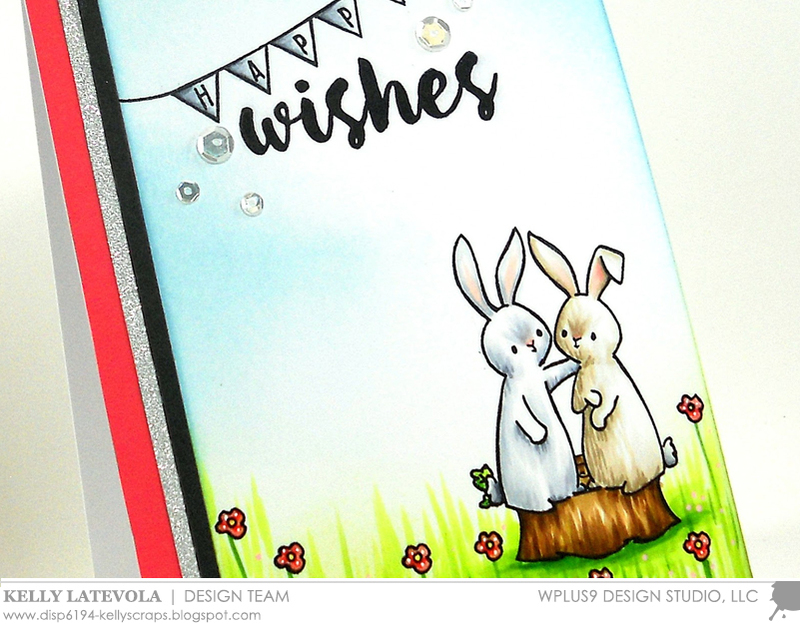 You can see how this card came together by watching the video below. I love how mixing stamp sets can give you such an original card. Happy Mail and Wishing You have all these pieces you can mix and match to create different scenes. The definition of a one layer card is a single piece of card stock with no added layers. These cards are completely flat and perfect for mailing. 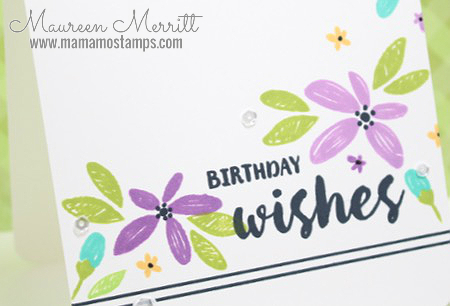 Adding a die cut or two and embellishments to your one layer card is completely acceptable in my opinion and still "counts" as one layer card. 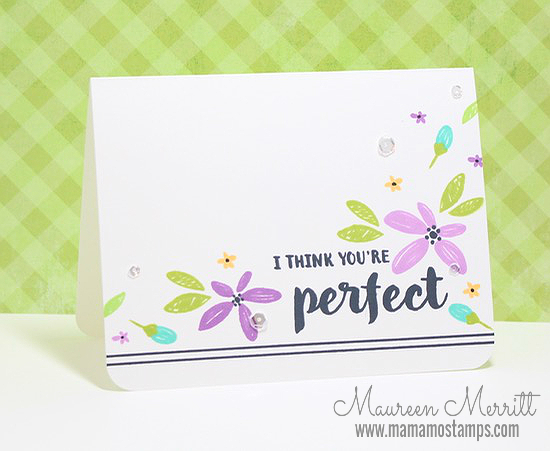 Many stampers struggle with one layer cards, so I thought I'd share a few things that I keep in mind when creating one layer cards. First and foremost, you need to have flow. Flow helps your eye move around the design. I created flow on this card by stamping from the bottom left to the upper right of the card. You also want to make sure you have grounded your images, otherwise they will look like they are floating in outer space. 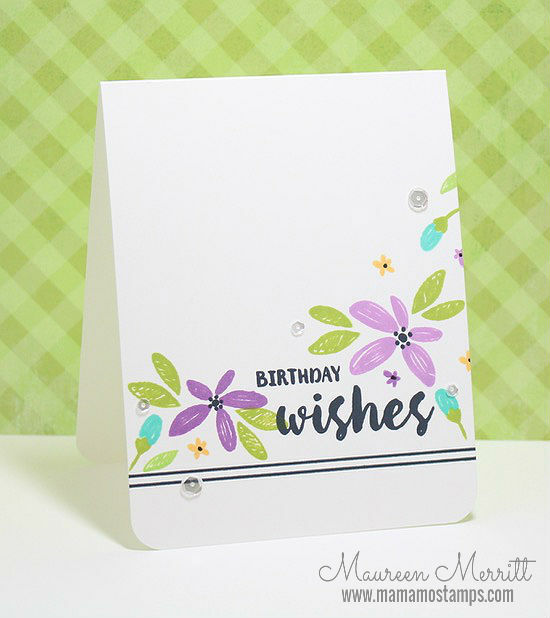 You can do this by stamping a border, adding a stripe of card stock or patterned paper or adding score lines. Lastly, add a special touch. This will vary from card to card. To give my card a finished look I rounded the corners. It's just a little something, but it definitely makes a difference. 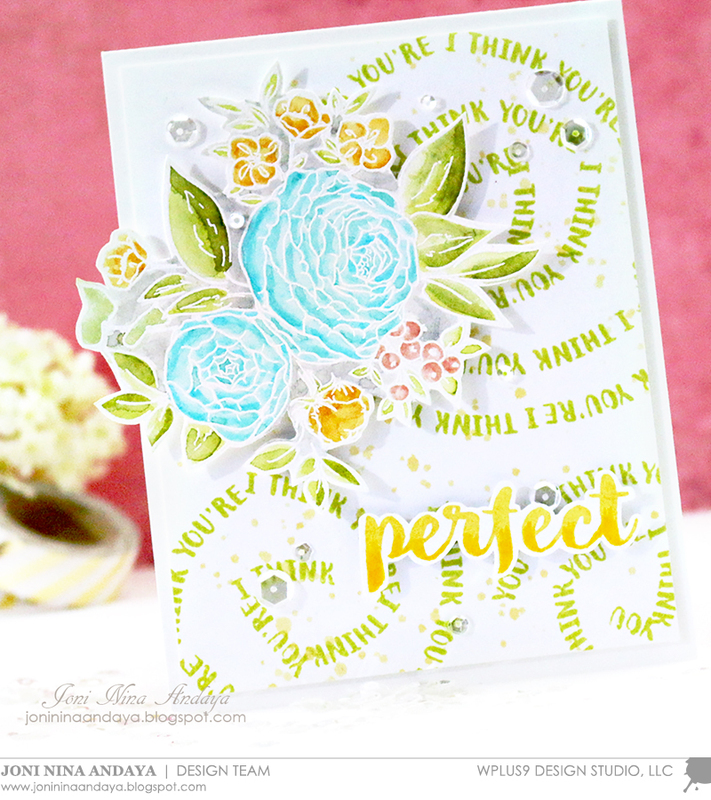 This card came together so quickly and easily that I was able to flip the design and make another card in about five minutes! I hope you'll give the one layer card a try! All content is © Wplus9 Design Studio, LLC. My artwork is shared for your enjoyment and inspiration.